Should You Take On Personal Debt When Starting A Business? Starting a business costs money—money that most new entrepreneurs don’t have in plentiful amounts. It costs an average of about $25,000-$30,000 to start your own business from scratch (though some businesses can be started for far less). If you don’t have a spare $25,000 in your savings account, you might think about taking on some personal debt in the pursuit of getting your business idea off the ground. But is this really a good idea? To start, let’s clarify some of the options that are available to you. 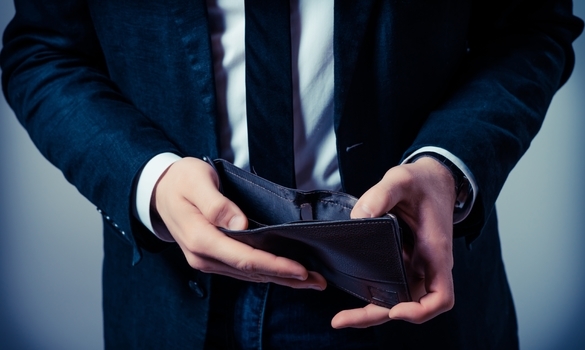 Let’s assume that you don’t have enough cash lying around to cover the cost of your startup. How else can you acquire those funds? Some entrepreneurs have built successful businesses after taking out personal loans or using their credit cards to finance a business. These methods will put you, personally, in debt as you try to build the business. That means you, as an individual, will be responsible for paying that money back, sometimes with a high interest rate. If the business goes under, you’ll still owe that money. You can also raise money from friends and family members. Depending on the deal you work out with them, you may consider it a type of personal loan (hopefully with a more forgiving interest rate), or you may give them fractional ownership in your company, paying them a portion of your profits for the first few years of operations. In either case, you will have to consider the family business factors and how it could impact relationships if things don’t go as planned. Angel investors are usually private investors looking to invest in startups. They can contribute some or all of the financing you need, typically in exchange for a small percentage of ownership in the company. The major downside here is that you’ll lose partial control of the company in some cases, and may not be entitled to the company’s entire profits. Venture capitalists are similar to angel investors, but rather than getting the investment from an individual, you’ll usually get it from a company or organization. There may also be requirements for you accepting the money as well, such as undergoing a training program or being subject to the scrutiny of an external advisor. Venture capital firms are a good way to get money, but there are lots of terms and conditions to consider as well. Crowdfunding is another way to generate money for your startup, especially if you’re creating something tangible. Different platforms have different rules and restrictions, so do your research before creating a campaign, and be prepared to pay a fee for the privilege. You’ll also need to heavily market your campaign if you want to meet your funding goals. Personally taking on debt isn’t the only way to finance a business. If you’re creating an LLC or a corporation, you can have the business take on the debt with a business loan or line of credit. There are some cases where you might be personally liable for debt your LLC or corporation takes on, but for the most part, this is a good way to shield yourself from that liability. If you are able to find business investment funding, it could be a safer route compared to taking on personal debt. Personal debt is one of the least advisable ways to get money for your business. For starters, you’ll likely face a high interest rate, and as you build your business, you probably won’t make much of a salary for the first few years. Over time, that interest rate can make you owe much more than you initially borrowed. On top of that, because you’re personally liable for the debt, if the business collapses, you’ll still be required to pay back that money—which could leave you debt-ridden for years after the business’s collapse. There are some fringe cases where taking on personal debt for your business is a good idea. For example, if you’re only a few thousand dollars short for the money you need, and you have a solid plan to pay the money back, taking on the debt isn’t much of a risk. If your business is a sole proprietorship and unable to take on business debt, personal debt may be your only viable option—and if you can get a reasonable interest rate, it may work out in your favor. The big picture here is that there are too many other viable options for getting business funding to make personal debt an ideal (or even a decent) choice. Small amounts of personal debt can help you close the gap if you’re close to the finish line, but otherwise, it’s too big of a risk. Use it only as a last resort when you’re starting a business from scratch.